Heatizon Systems has over 20 years of experience in the electric radiant heating industry. 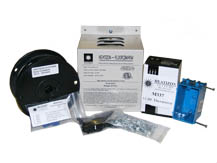 We are the only manufacturer to offer low-voltage, under-roof deicing systems. Heatizon also produces some of the best mineral-insulated and self-regulating heating cables. Unlike other companies Heatizon prides itself on not only offering products that have to pass high-level quality standards, but providing the highest-leveso youl of system design, installation support and general support for our products. ZMESH: As thin as your screen on your door, but provides superior low-voltage heating for roofs and floors. TUFF CABLE: A low-voltage cable that is versatile for floors, snow melting, and roof deicing for metal roofs when paired with our INVIZIMELT panel system. HOTT-WIRE: Two types of heating cable that provide amazing levels of heat for snow melting. COZY HEAT: Heating cables for slab heating and floor/space heating with superior longevity. FLOORIZWARM: a complete low-voltage floor warming system with thermostat and 25-year warranty. HEATWAVE: Heating system available in a mat or cable that is great for DIYer or residential contractors to install in tiled spaces. 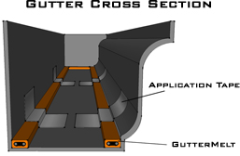 GUTTERMELT: Premier heat trace for use in gutters and on roofs that has a long line of activators and accessories that are unmatched by similar brands. OUTPIPE: Great for heat trace on water pipes to prevent freezing, which offers a variety of control systems. PEDESTAL PAVER HEAT: A brand new system that heats pavers installed on pedestals allowing for snow removal in spaces where it was previously extremely difficult to provide. Heatizon uses a network of highly-trained distributors that offer support for all of our products. Heatizon also offers high-level support for architects and engineers doing spec projects where our products are to be used. Design-build assistance is another customer-support service that we offer. Heatizon looks forward to being able to offers our customers superior-level quality, service and support second-to-none in the industry.